Heavy rain and severe storms led to life-threatening floods over Monday night into Tuesday as parts of southwestern Wisconsin woke up to dangerous conditions for the second time in August. Numerous residents were rescued from floodwaters while roads and highways were closed throughout the region. Wisconsin Gov. Scott Walker declared a state of emergency for Fond du Lac, Juneau, La Crosse, Monroe, Vernon, and Washington Counties on Tuesday in response to the destructive flooding. Radar showed nearly 12 inches of rain in some areas, according to AccuWeather Meteorologist Isaac Longley. In the early hours of Tuesday morning, two campers in the midst of a canoeing trip were rescued in Rockton after finding themselves in neck-high water levels. The Kickapoo River has flooded to near-record levels, according to the National Weather Service. As of early Tuesday morning, the water had already reached 20.9 feet, well above the 16-foot flooding state. This is the second time in 2018 that the river has topped 16 feet. Kickapoo River levels near Ontario, WI (Vernon Co.) hitting near record levels early this morning, and expecting to be cresting soon as well, ~22 feet. Westby WI blew away their 24-hour rainfall for the period 7 AM August 27 to 7 AM August 28 with 9.98". Previous record was just 0.92" in 1975. It was also their wettest 24-hour period ever recorded. The previous record was 7.17" from August 18-19, 2007. Records date from 1956. Other rescues were made in La Crosse at the Brookview Mobile Home Park when water reached chest-high levels, and other homes in La Crosse by Highway 35 were also evacuated after flash flood warnings. Widespread evacuations were also carried out in Vernon County, where mudslides were reported. In Juneau County, four highways have been closed due to water flooding over the roadway. 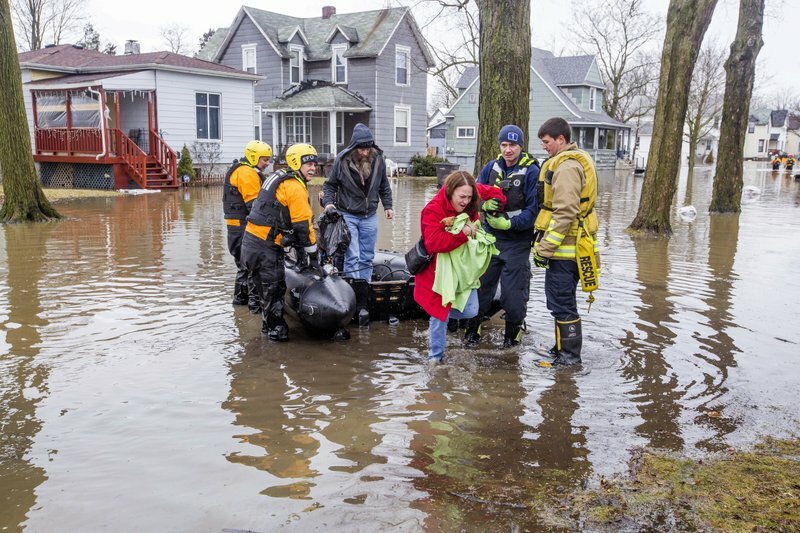 Another round of flooding hit Wisconsin on Tuesday afternoon as severe thunderstorms unloaded torrents of heavy rain across the state. Flooding was reported in Green Bay after storms dropped over an inch of rain in just a few hours. This is the second time this month residents in the region have faced flooding. Recent flooding in Dane County killed one resident after more than 10 inches of rain fell. The heavy rains from earlier this month also contributed to the current flooding as much of the ground has remained too saturated to absorb any of the new rain. Longley said this recent rain can be traced to a source hundreds of miles farther south. Longley added that rain is expected to continue falling throughout Tuesday, as another 2 to 4 inches are anticipated. A flood watch for impacted regions will remain in place until Wednesday morning.